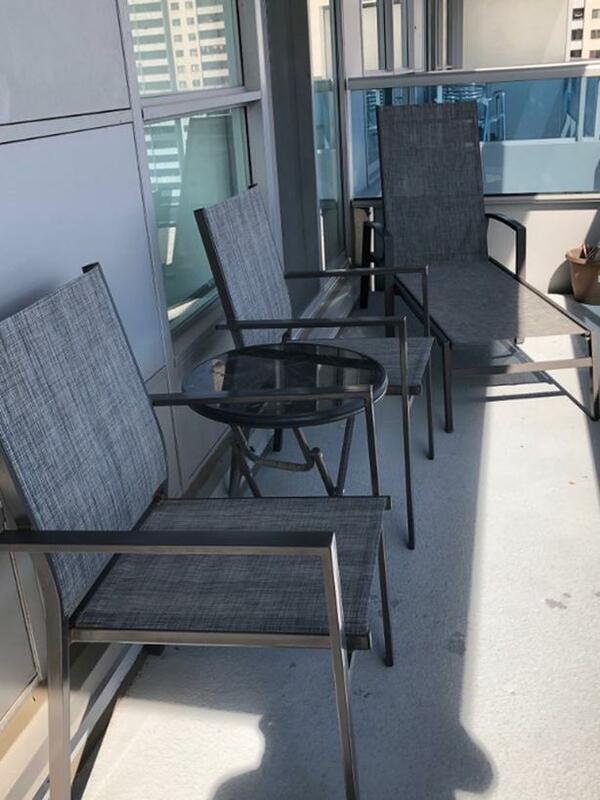 4 Piece Patio Set For Sale. Two chairs, one table, one lounge chair. Call Robert at 416-770-0140.